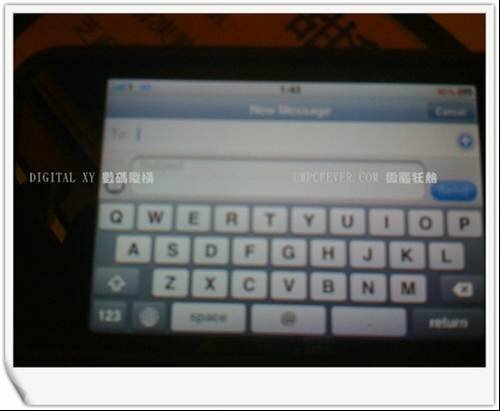 Full qwerty keyboard for messaging: New iPhone features? - New iPhone features? These pictures came from Gizmodo but they are originally from a Hong Kong blog. They’re blurry, but have been described as a fairly realistic depiction by those in the know of what could be on the next phone. The internet is rife with rumours about the features of the next generation iPhone with Apple’s Worldwide Developers Conference in San Francisco starting on Monday. The company is likely to use the event to launch iPhone OS 3.0 and some slightly blurry photos have been circulating of what could be the new features.